SUPER CUTE! Wear this shiny stainless steel style 24/7!! 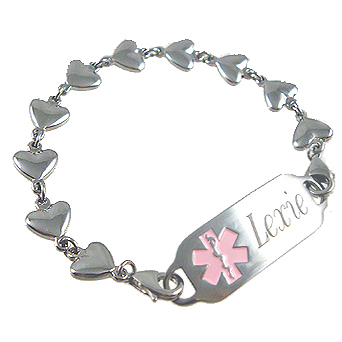 ALL stainless steel Medical ID Tag & Bracelet with detachable 316L stainless steel Heart Link chain strand. For children, women and teens! Heart Links are 9.2mm x 6.7mm double sided puff hearts. 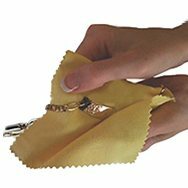 Price includes our Deluxe stainless steel medical ID tag with clear etched engraving, interchangeable stainless heart ink chain, two lobster clasps. Sizing for this style: Take a snug wrist measurement, (no wiggle room) and select the bracelet size that corresponds with your wrist measurement.. Measure carefully as this chain design fits different that our other chain styles!